For every veteran marketer who manages to establish a connection with consumers through their smartphones, there’s a bevy of eager neophytes who want to engage in the mobile space but simply don’t know how. In such situations, the finer points of crafting effective SMS marketing campaigns or implementing strategies to reach underserved market segments usually lead to more confusion than clarity. Not that that’s necessarily a problem. Understanding has to precede implementation, and taking people back to the bedrock fundamentals of SMS so that they can more effectively promote their own efforts is the goal of this particular post. First things first, then: What exactly is SMS? Well, that particular acronym stands for “short message service” and deals with abbreviated, 160-character text messages displayed on cell phones. Even at this basic starting point, though, there are exceptions. Although most SMS messages max out at 160 characters, certain Asiatic languages set a cap at 70, and personal computers or tablets can also interact with SMS texts depending on their hardware and software architecture, which might impact how your reach out to potential customers. What’s more, constant communication between devices and cell towers means that cellular devices are essentially always available for messages—an eminently practical implication for businesses and nonprofits alike. Once you have your own list, you’ll need to get a code, and UltraSMSScript offers a couple of different types. The next step involves getting a unique descriptive keyword that allows people to subscribe to your texts. It should be catchy, memorable, applicable to your everyday operations, and a single word long. Fortunately, Ultra SMS Script allows you to pick as many keywords as you would like. Once you have these pieces in place, it’s time to get to the meat of SMS marketing: the text itself. 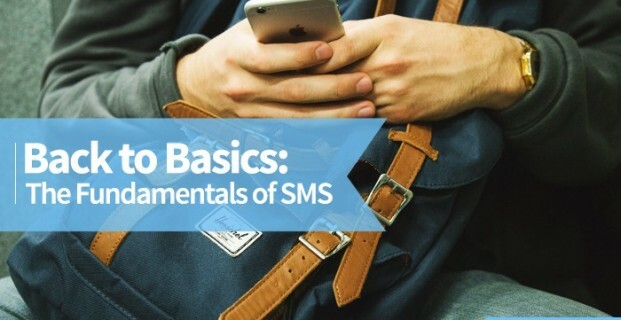 I’ve already detailed the benefits of SMS at various times on this blog. Indeed, here are a few more reasons why you should consider pulling the trigger on an SMS campaign: It’s inexpensive, easily engages target audiences, boasts great response rates, and won’t take up a ton of your time. But understand that these benefits don’t accrete on their own. You need a well-constructed series of texts if you want customers to responds. So offer value. Don’t oversaturate your list with messages. Remember that limited-time offers motivate. And don’t forget that brevity is the soul of wit (by which I mean that you should keep things short). True, these are only the barest building blocks for a successful campaign, but they’ll lay a firm foundation for future SMS success.